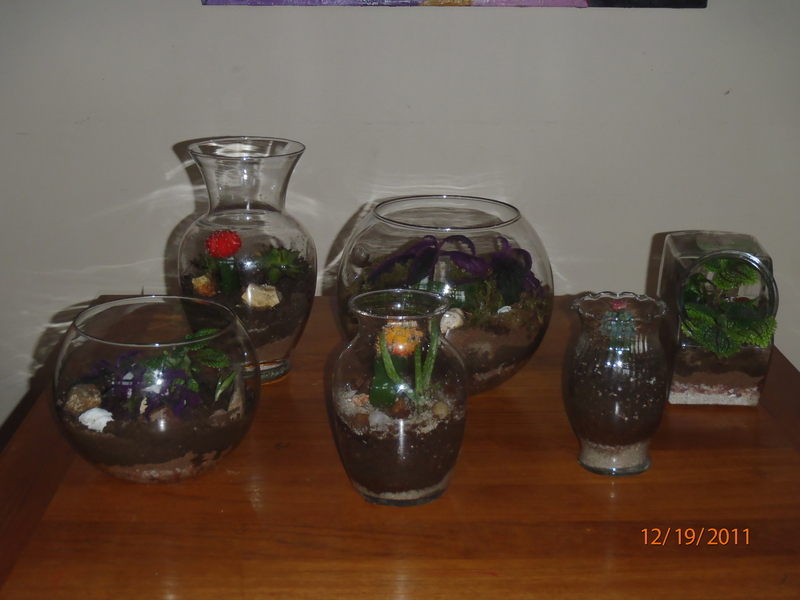 We had a great time making terrariums together. We found some of the glass at the Goodwill for $2.99 each and the vases we found in all of junk. I have lots of cupboards to declutter! These we made for gifts and the kids each made one for themselves. A little garden of their own to care for until it’s time to plant some seeds. That will be a while, I guess, but we are waiting patiently. I have been sprouting lots of seeds for eating, but it’s just not the same thing as planting in soil. I love the smell of soil. This entry was posted in Rasing Kids for The Good Life-YIKES! 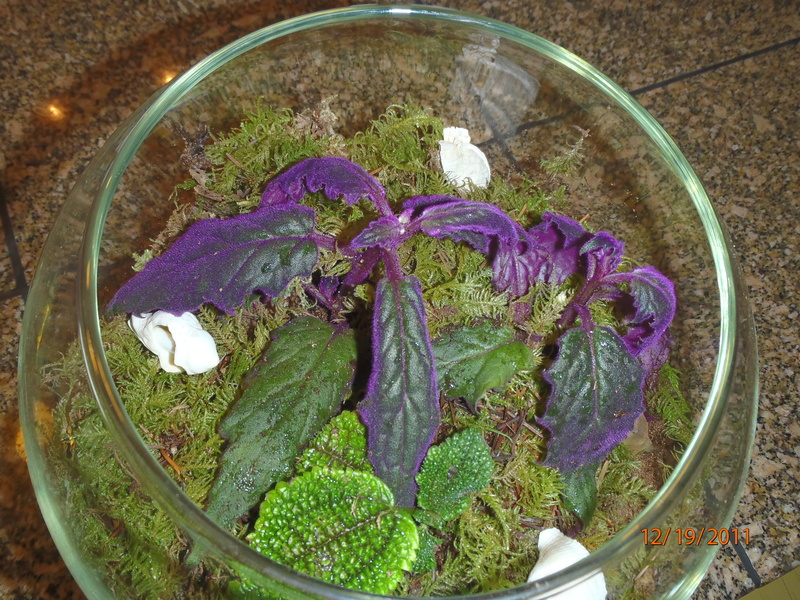 Big Job., Simple Living, The Good Life Homeschooling and tagged homeschool, terrariums, the good life. Bookmark the permalink.